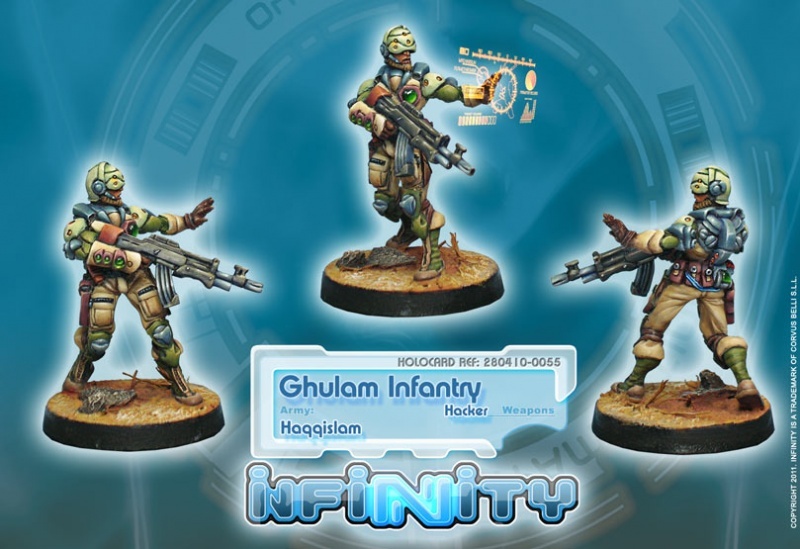 The Ghulam infantry are the most numerous military force of Bourak. 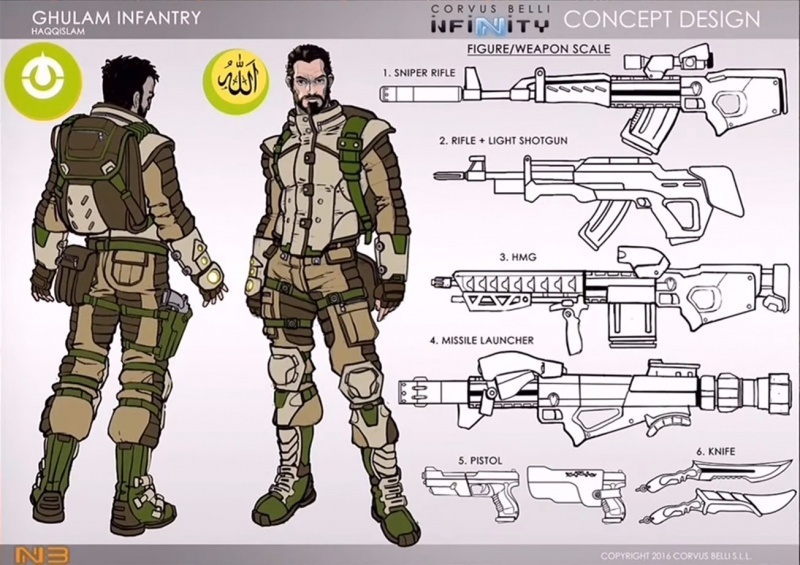 Haqquislamite military strategy is based on the Hammer and Anvil theory. 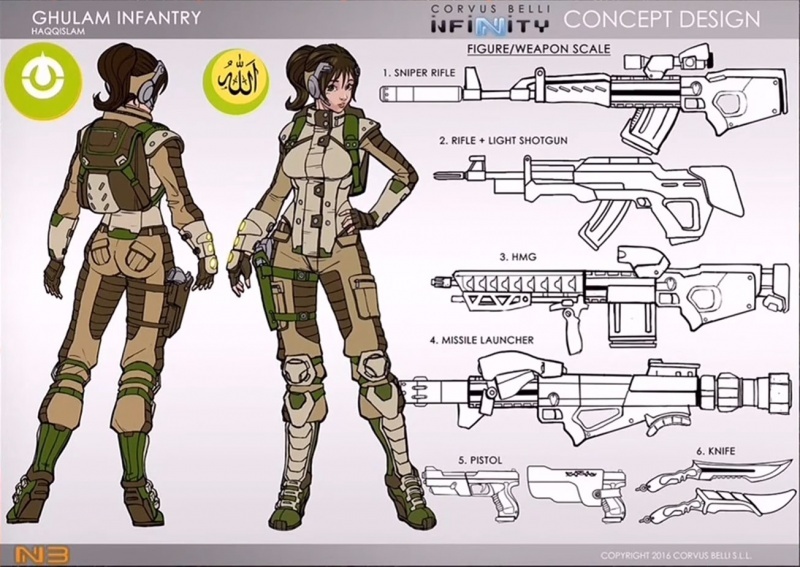 According to this theory, a hammer blow made up of big Ghulam units would crush the enemy against the anvil made up of smaller heavy or specialists units. 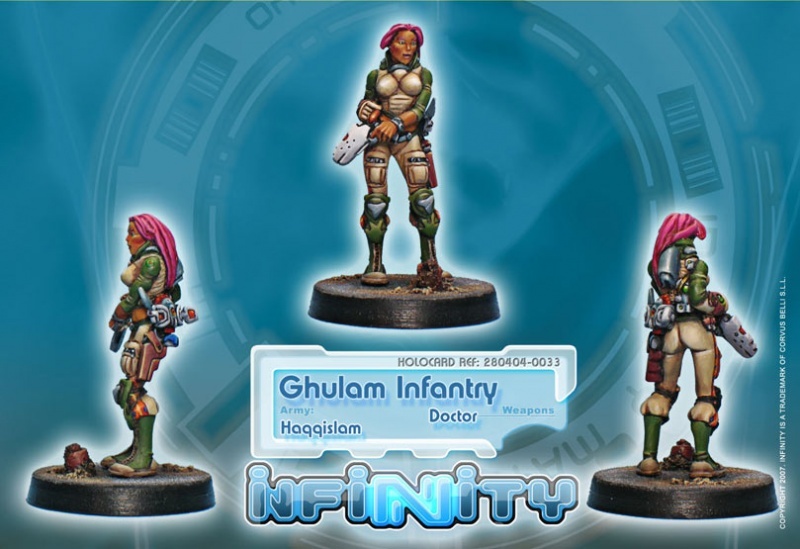 Haqqislam, with fewer resources than PanOceania or Yu Jing, always adopts strategies based on numerical superiority. 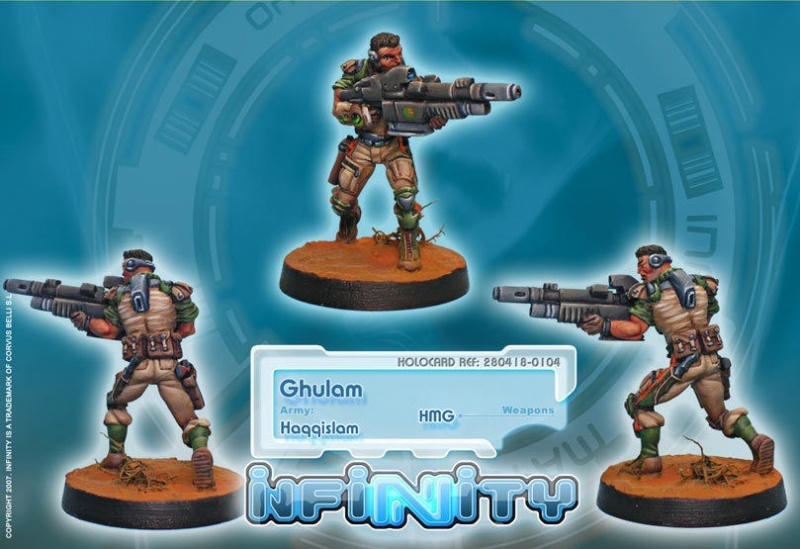 Ghulam Infantry are always ready to form a combat force as fast as possible, and to carry out the main military operations and also serve in contingency plans throughout a campaign. 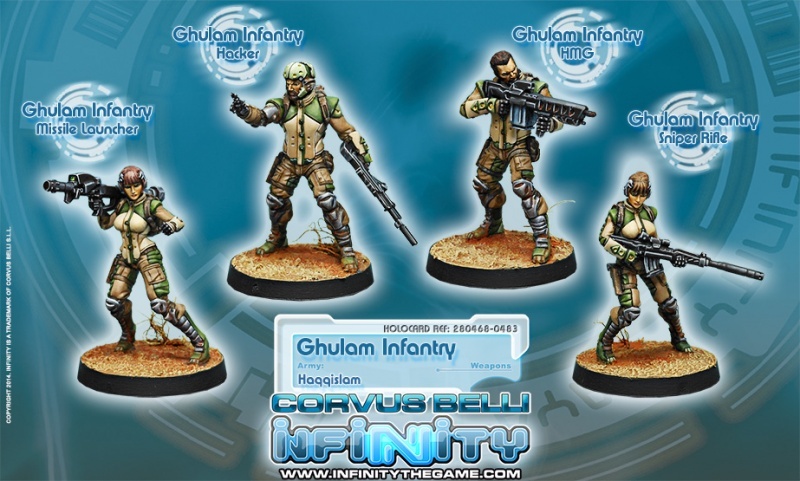 The Ghulam troops are highly motivated and feel they are the true protectors of Haqqislam. They know that in the hour of crisis, they are the ones who must stop an invasion. Even in technologicall war, an unbreakable will is still the most powerful weapon. All Ghulam soldiers are willing to give their life for Haqqislam and this is the type of conviction you cannot buy with money. 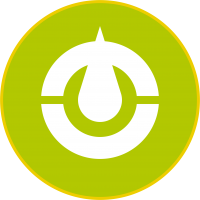 This page was last modified on 17 April 2019, at 09:04.